Rocket Raccoon is on a rampage as a member of the Guardians of the Galaxy, fearlessly defending against the forces of the Sovereign. 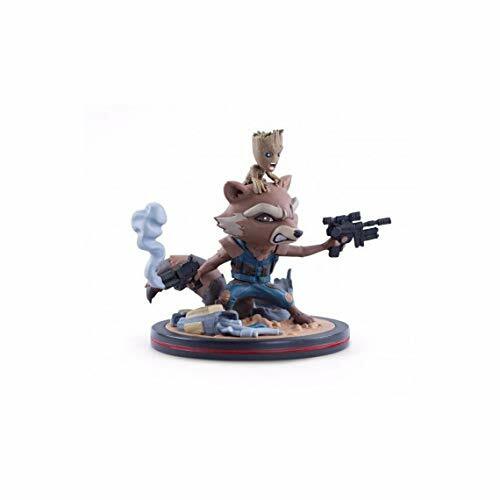 With a blaster in each paw, Baby Groot clinging to his head and smoldering wreckage everywhere, Rocket's looking pretty feisty in our Q-Fig diorama. 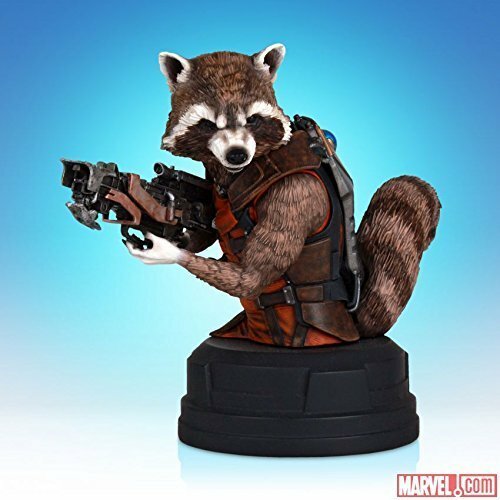 As you'd expect, he's ticked off as only a genetically enhanced, wisecracking, bipedal raccoon who loves guns can be. 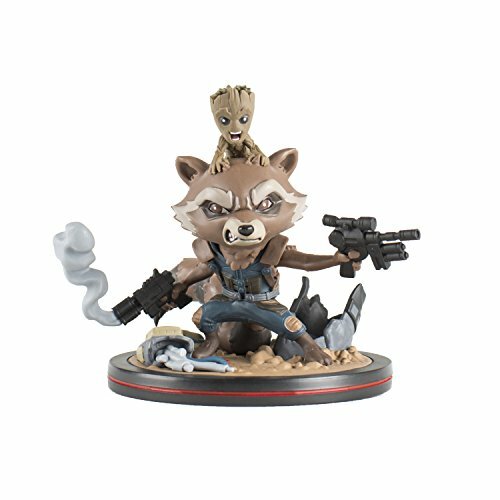 Rocket and Groot are part of the series of Marvel Q-Figs, so be sure to check out the rest of the amazing superheroes and villains! Warranty is only applicable when purchased from Maziply or non-Prime authorized QMx sellers.